With August running now behind me, I’m really getting into my Baltimore Marathon training. 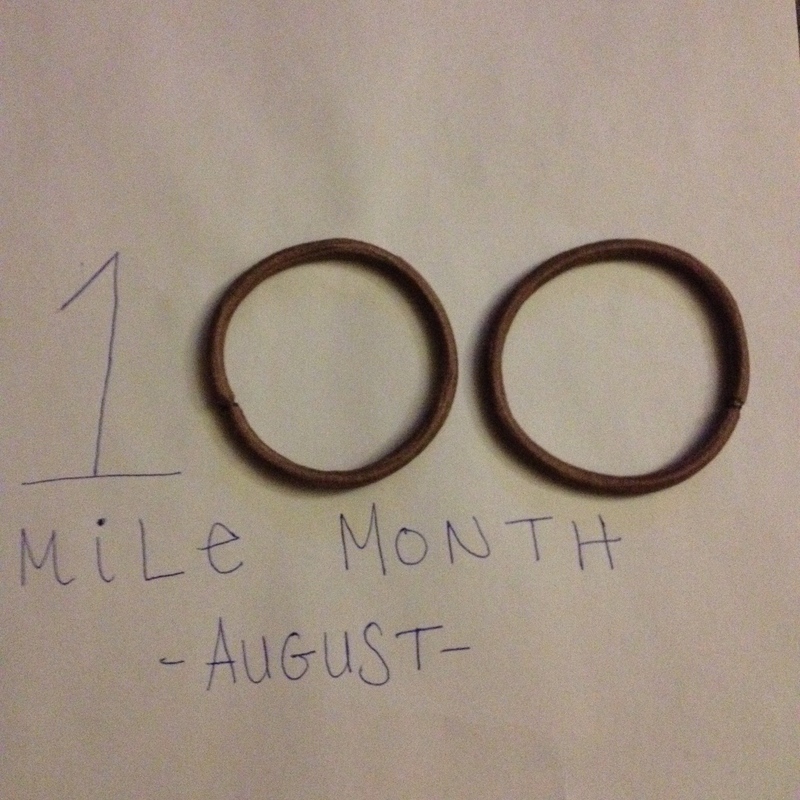 I had a good month of running in August — and I ran my second-highest monthly mileage this year. With 784.62 miles under my belt for 2015, I’m nearly caught up to where I need to be to meet my 1,200-mile goal for the year. Here are six facts about this month’s running. 1. I ran 118.84 miles. There were five weekends this August, which meant five long runs. That definitely helped bump up my total mileage. 2. Not all of my long runs turned out as planned. A 10-miler became an 8.5 miler. A 15-miler became a 14-miler. And just yesterday — Sunday, Aug. 30 — a planned 17-miler became a 14.5 miler. I didn’t feel great on either of those last two runs, but at least I still got in a decent amount of distance. The 8.5-miler was much hillier than my normal terrain. Not every run can be perfect. 3. I did one race. I ran in the Casey Cares 5K on Aug. 3 and had fun participating in a new event and doing a little better than in the 5K I ran earlier this year. 4. I ran with a new group. While in Carroll County, I enjoyed a run with the Westminster Road Runners Club. 5. I ran in three different scenic locations. I logged some long runs with my friend Veronica at Cape Henlopen State Park and in Ocean City, and I did a shorter run in Bethany Beach. 6. I did some fartlek runs. I tried something I hadn’t done in a long time and did two fartlek runs during August, where I would alternate running quickly with running at a slower pace by picking out something to run to — a mailbox, a pole or something similar. It was a fun way to switch things up, and it did speed up my average pace. I’ll definitely continue to work those into my training. I can’t believe September is only about an hour away — and I only have a month-and-a-half until the marathon! This sounds like a great running month! I hope it continues through September.